PESA Board Member Chuck Chauviere, President, Subsea Drilling Systems Oilfield Equipment, Baker Hughes, a GE company. 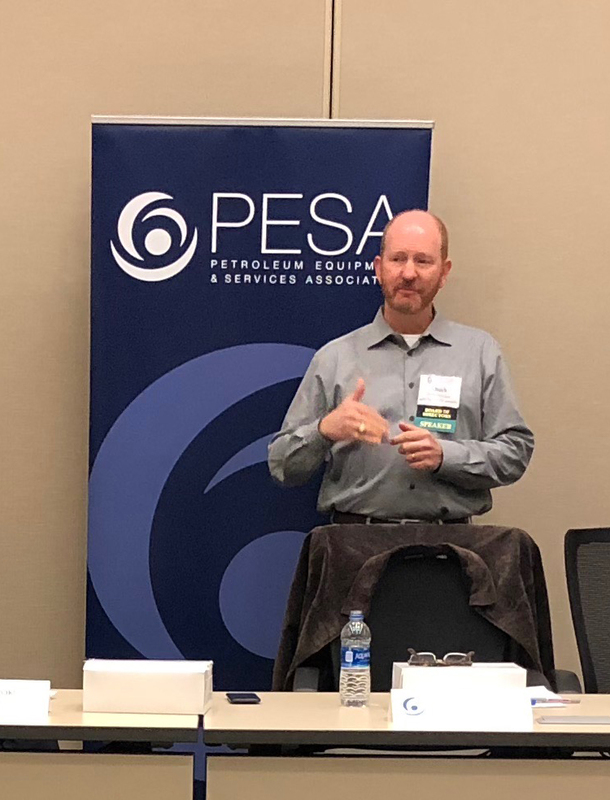 On November 15, the PESA Emerging Executives Committee hosted its final leadership forum of 2018 with PESA Board Member Chuck Chauviere, President, Subsea Drilling Systems Oilfield Equipment, Baker Hughes, a GE company. During his discussion with PESA members, Chauviere highlighted ways to survive in times of change, by developing communication skills and determining one’s motivation. A change in mindset may also be necessary. He cautioned attendees against using people as tools to get to the next job. Instead, he urged emerging leaders to commit to their roles and be the best they can be in those roles. While a frog on a lily pad can’t be invested, when one is invested in the role and making people successful, they in turn will be successful, he said. Chauviere added that being a good leader means being a good follower. Another facet of change is communication. In a world of casual Fridays and the internet, using different avenues of communication to reach diverse teams is essential. Knowing your team is pivotal to growing your sphere of influence. Thus, Chauviere encouraged attendees to challenge their own paradigm. He also underscored the importance of having the right people in the right roles. While you may like an individual, if their performance does not match the role, that information needs to be communicated. “The conversation of poor performance or firing should never be a surprise. If you are going to shock someone with that discussion, you have completely failed them,” he said. Though often overlooked, Chauviere advised engaging human resource leaders. As changes occur within an organization, HR leaders are often included in discussions of organizational shifts, reviews, mergers and acquisitions. Therefore, they need to be aware of your talents, skills, strengths, weaknesses, development path and aspirations. Ask yourself: What drives me to succeed? What do I do when no one is looking? Your motivation should be to make your boss successful, to win, show up and make a difference. 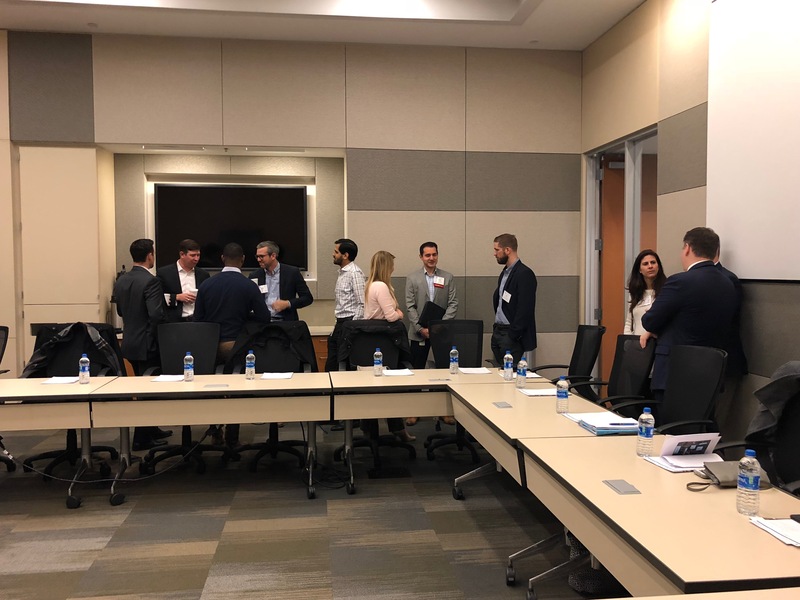 Chauviere summarized the discussion by encouraging emerging leaders to complete multiple 360 degree reviews throughout their careers and use the feedback to guide their career development. PESA Leadership Forums are held bimonthly and provide Member Company high-performers the opportunity to interact with PESA Leadership in an informal setting. 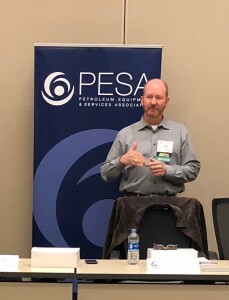 Join us on January 22 for the first PESA Leadership Forum of 2019 featuring PESA Advisory Board Member Mike Reeves, Rubicon Oilfield International.